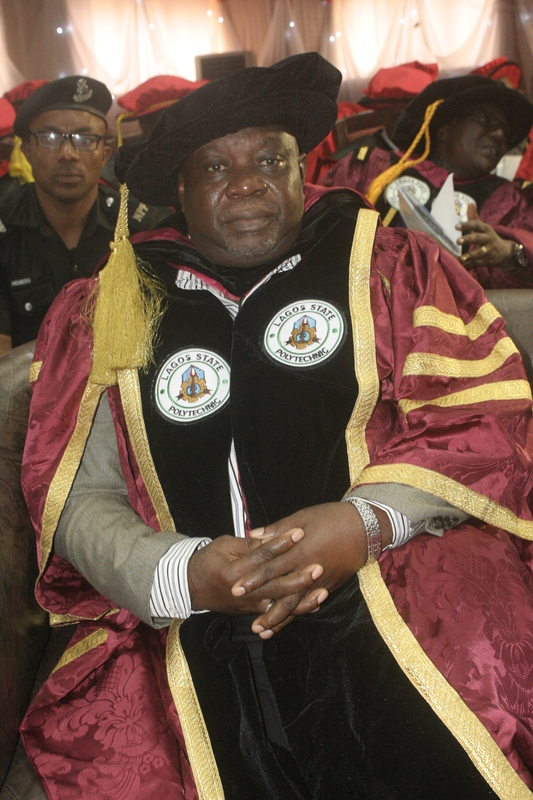 Uncertainties still trails the selection of new Lagos State Polytechnic, Rector after the exit of Dr Abdulazeez Lawal in May, 2015, whose end of tenure was characterized by controversies. The former Rector was accused of favouritism and manipulation of the process of selecting another Rector for the institution among others allegations with several petitions written to the former governor of Lagos State, Mr Raji Fashola, SAN. It was gathered that this accounted for the refusal of the former governor in announcing the result of the screening which THE IMPACT gathered favoured alledged ‘anointed’ candidate of the former Rector. Also accused is Otunba (Dr) Fatai Olukoga, former Special Adviser on Education who held forth in the foremost School of Technology for the former governor. THE IMPACT gathered gathered that though, the former governor put the LASPOTECH issue, especially the Rectorship issue in the handover note for the new administration of Mr Akinwunmi Ambode, the new government may not do anything about the situation any time soon. A source informed THE IMPACT that the new administration do not want to start with controversy since a section of the institution are still protesting the outcome of the selection which they said was characterized by manipulations. Another source also informed THE IMPACT that the new administration is seeing the LASPOTECH issue as one of the landmines placed on its way by the previous administration and it call for caution. The aggrieved parties, THE IMPACT learned are seeing the situation as an advantage since the outcome of the process they protested against was not announced by the previous administration. It was further gathered that they are making frantic efforts and using different connections in this present administration to press for review of the process. According to the petitions written by different groups and individuals and copies which were made available to THE IMPACT, Dr Lawal whose administration has been acknowledged to have turn-around the school and instill discipline is been accused of partiality in disciplining erring staff, using his company and that of his allies to execute contract for the school, allowing his cronies to access TETFUND sponsorship fund, planning to stage a second term against the amended law of the school and abuse of selection process for Rectorship in favour of his anointed candidate. On the other hand, Otunba Olukoga was alleged in the petitions to his boss of preventing the constitution of the school governing council for past years, working against an Ikorodu indigene from emerging as next Rector to ensure his own emergence as next Chairman of the school governing council, collection of N250,000 before appending his signature on any document, collecting 20% on every executed contract and collecting N3million for the Rectorship among other allegations. The school information officer, Mr Lanre Kuye, responding to the allegations said that the petitioners are ghosts and that one of the petitioners, Adeleke Waheed Aderibigbe is never a staff of the polytechnic as claimed in the petition. Responding to the allegations one after the other, Mr Kuye stated that the petitions and unwarranted allegations were a fall-outs of the process to appointing another Rector for the school which is normal everywhere. He added that the Polytechnic environment is one big family that is ready to work in harmony with any of the candidate that emerge as the next Rector. One Mr Adelaja Waheed Aderibigbeof the Council Affairs Unit, Registry Department, Lagos State Polytechnic, Ikorodu in a signed petition addressed to the executive governor of Lagos State, titled “Flagrant Abuse of Due Process and Gang-ups in Lagos State Polytechnic to Suppress Quality Leadership in order to Cover-up Dirty Deals”, alleged that the staff of the school have been under dictatorial style of leadership of Dr Lawal which has been causing serious internal problems and may explode anytime soon. He accused the out-gone rector of selective discipline of staff and double standard by ensuring that any staff that is not in his camp are severely punished whenever such err, while, allowing those in his camp to go unpunished even with grievious offenses. He mentioned cases of the Computer Science Department staff, Saheed Ololada Adelanwa and Ibitoye Akinfolajinmi Akinrinola who were demoted, while another was alleged to have been allowed to enjoy rights and privileges despite being found guilty of certificate forgery. “While these young lecturers are facing harrowing experience, one Mrs Alfrida Abimbola Oshinde PFSS/601 in the department of Hospitality Management Technology and also sister-in-law of the Registrar is allowed to work and walk freely after being tried and convicted for a case of forged certificate. This is just one out of many of such double standard in the Polytechnic” Aderibigbe stated in his petition. Responding on the allegation that the office of the Rector is selective and vindictive, Mr Kuye explained that the school followed laid down procedures in querying allegations against the lecturers and found them guilty. He added that Mrs Oshinde was also punished contrary to then claims of the petitioners. “Sir, regardless of the religious veil that the rector is covered with, it will amuse you that the financial recklessness and frauds in the polytechnic will make NNPC go grey with envy. How could an internet provision that was procured with seventeen million naira never worked for a day. Award of biased scholarships without any regards for quota system and merit” he also stated. He then accused the Special Adviser on Education of working and signing documents on commission basis. “It is Two Hundred and Fifty Thousand Naira to append signature ,20% of every executed project, Six Million Naira for Rectorship, Three Million per Convocation etc, aside other ungodly gratifications during any festive period. Most times, monies were processed for him through the office of the school PRO-these are all verifiable facts”. Aderibigbe alleged. He alleged that the Haf-Hax Technology, Lastak and Wako Construction Limited are the conduit pipes through which the school Registrar husband, the Rector and Rector’s Personal Assistant, are using to get school’s contract for themselves. Resonding to the allegations that Haf-Hax Technology, Lastak and Wako Construction Company are been used by the Rector, his personal assistant and the Registrar as conduit pipe, the Information officer stated that these companies have been with the Polytechnic long before the current management came on board also denied any link by the prIncipal officers to the said companies. In another petition by Concerned Ikorodu Indigenes , Lagos State Polytechnic, Ikorodu titled, “Petition Against Otunba Fatai Olukoga, Special Adviser on Education, Lagos State over the Rectorship Interview for Lagos State Polytechnic”, the group alleged that its candidate and son of Ikorodu, one Mr Olasunkanmi Olayinka Longe was denied the Rectorship in 2011 by the Chairman of the School Governing Council, Prof. Ajose who refused to score him any mark in the interview and again, recently by the former Rector of the School, Engineer Olawunmi Gasper at an interview conducted by Phillip Consult which was also accused of not scoring him any mark despite answering all his questions except one. 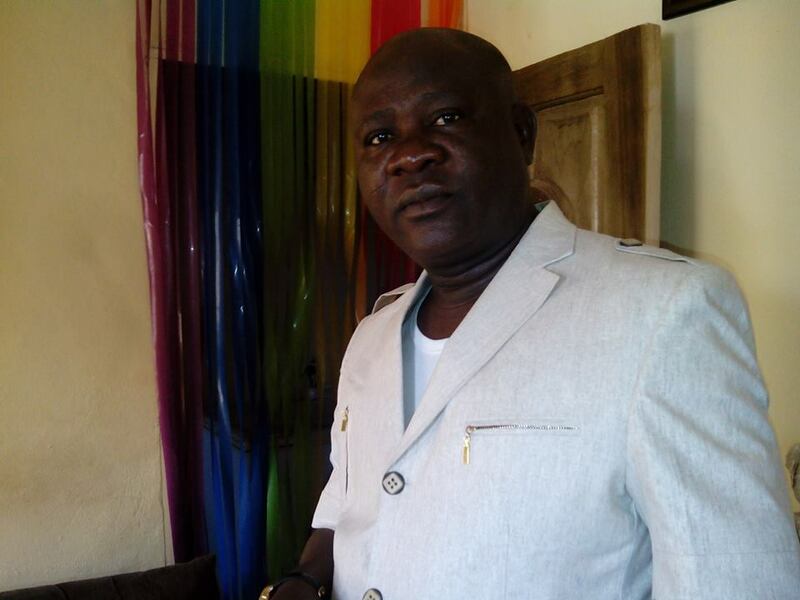 The Concerned Ikorodu Indigenes alleged that the favoured candidate of the Special Adviser against the Ikorodu-born Longe was disqualified by the State of Origin Verification Panel on the ground of his state of origin. 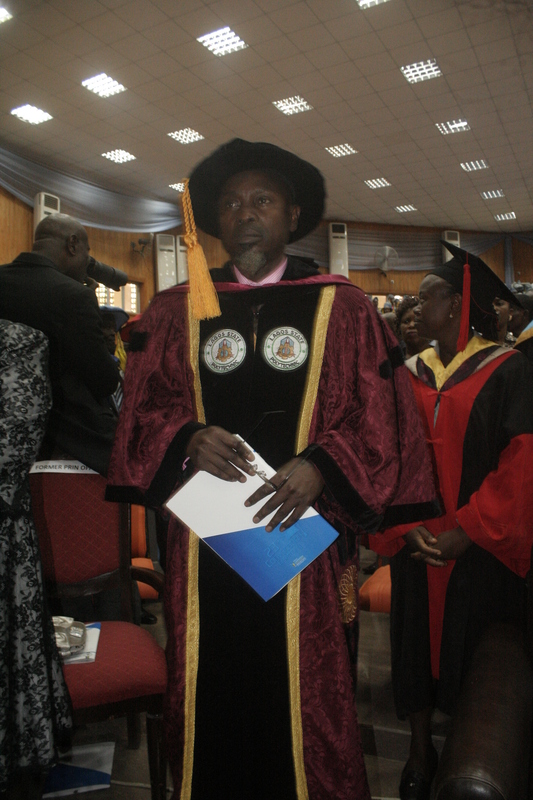 “Otunba Olukoga, who is said to be interested in becoming the Chairman of the Governing Council of Lagos State Polytechnic when constituted, collided with Engineer Olawunmi Gasper and the Director, Higher Education, Lagos State not to allow Longe to become the Rector so as to brigthen his own chance” the group alleged. The group then called on the governor to investigate Engineer Olawunmi Gasper, the Special Adviser on Education, Otunba Fatai Olukoga and Special adviser on Environment, Lagos State for their roles individually and collective in the abuse of the process. Another group named Concerned Lagosians in the School in a 7-page petition listed achievements of Dr Lawal among which are promoting many staff than any of his predecessors, establishment of two new schools, accessing TETFUND in building new structures and for staff Post-Graduate Studies both home and abroad among others, but inspite all these, “his administration is perceived to be dictatorial by many of the staff, characterized by high-handedness, intolerance and double-standard resulting in bending rules for his few favourites, majority of whom are Muslim brothers and sisters” they alleged. Other sins are turning the monthly Academic Board meetings where decisions are taken into a place Board Members avoided and those that do attends are made to get briefings and order fro the Rector; decline of the school IGR due mainly to the Rector’s highhandedness; favouritism in the appointment of the new Deputy Rector (Academic), Mr Nurudeen despite not meeting the necessary requirements, recycling of favourites for juicy positions and preferential treatments in the award of TETFUND scholarship for PHD in foreign Universities among many others. Like other petitioners, Concerned Staff of Lagos State Polytechnic, also petitioned against the Rector and Special Adviser on Education to the governor and made copies available to THE IMPACT. Meanwhile, THE IMPACT gathered that seven candidates applied for the Rectorship position of of Lagos State Polytechnic, Ikorodu with two applicants from Ikorodu- Barrister Olasunkanmi Longe, former Deputy Rector of the school and Dr Omobitan of Lagos State University. Others are Mr Samuel Sogunro, current Deputy Rector (Administration), Mr Kola Godonu of School of Agriculture, LASPOTECH, Mr Tajudeen Nurudeen, Deputy Rector (Academics), Dr (Mrs)Saheed of School Agriculture, LASPOTECH and Dr Adebayo of School of Management, LASPOTECH. THE IMPACT gathered that the names of Dr Omobitan and Mr Samuel Sogunro are on top of the shortlisted candidates. Any of these two, we gathered may emerge as the next Rector of the Polytechnic. It was gathered that highly placed Ikorodu people are lobbying for the position of Rectorship for an Ikorodu indigene as the host community, more so, that it has presented two credible candidates who are eminently qualified with one of them on the top of the list. It was also gathered that proponents of Mr Sogunro are also not relenting. As a sitting Deputy Rector, Administration, he is at advantage. The staff of the school also seem to prefer a candidate from the school to emerge as the next Rector rather than an outsider. Dr Abdulazeez Lawal has since vacated office after the expiration of his term and the Deputy Rector (Administration), Mr Sogunro had been announced as the Acting Rector pending the time a new Rector will take-over the administration of the school. Mr Lanre Kuye, the Deputy Registrar, Information & Public Relations Officer of the Lagos State Polytechnic, Ikorodu has debunked allegations against the immediate past Rector, Dr Abisoye Lawal and ex-Special Adviser on Education as unscrupulous and untrue. The school information officer made the declaration while responding to the allegations during a press conference at the school board room. He added that the petitioners are ghosts and that one Adeleke Waheed Aderibigbe is never a staff of the foremost school of technology as claimed in the petition. Responding to the allegations one after the other, Mr Kuye stated that the petitions and unwarranted allegations were fall-outs of the process to appointing another Rector for the school which he said is normal everywhere. He added that the Polytechnic envIronment is one big family that is ready to work in harmony with any of the candidates that emerge as the next Rector. On the allegation that the office of the Rector is selective and vindictive in punishing staff with reference to cases of Computer Science staff, Mr Kuye explained that the school followed laid down procedures in querying allegations against them and found guilty. Mr Kuye further stated that Mrs Oshinde of the Hospitality Management Technology who was alleged to have been found guilty of a serious offense was equally punished by demoting her contrary to what was stated in the petition that she was not punished and was allowed to work freely because she is an in-law of the School Registrar. The School Information Officer while stating that the school play no role in the failure of the state government in appointing Governing Council in the last two years, informed members of the press that as expected, the management of the school communicated the development to the governor and the need to appoint a new board through the Special Adviser to the governor, Otunba Fatai Olukoga, adding that there has not been any respond to this request. He equally stated that despite the absence of the Governing Council, the school activities are being approved by an enlarged Management meeting. He added that records of these enlarged management meetings and resolutions which are conducted in the open are available for anybody in doubt. Responding to the allegations that Haf-Hax Technology, Lastak and Wako Construction Company are been used by the former Rector, his personal assistant and the Registrar as conduit pipes, the Information officer stated that these companies that have with the Polytechnic long before the advent of the current management and also denied any link by the principal officers to the said companies. While describing the petitioners as ghost who should be ignored, Mr Kuye stated that only 6 staff members are in the School Council Affairs and that the petitioner, Adeleke Waheed Olaribigbe was never a staff of he school. Mr Kuye described the former Rector as a man that is very open, forgiving and not highhanded in any way and whose tenure has brought unprecedented growth to the school in term of academics, infrastructures, staff attitude to work and promote friendliness and peace in the Polytechnic community. He also described the relation between the school an its ost town as cordial and deny any deliberate attempt to prevent Ikorodu son from emerging Rector as insinuated in the petitions. The PRO also pledged continue harmonious working relationship with Ikorodu. as young mathematician in 1965 at Budapest. https://math-problem-solver.com/ . substituting the English sentences into Mathematics sentences.